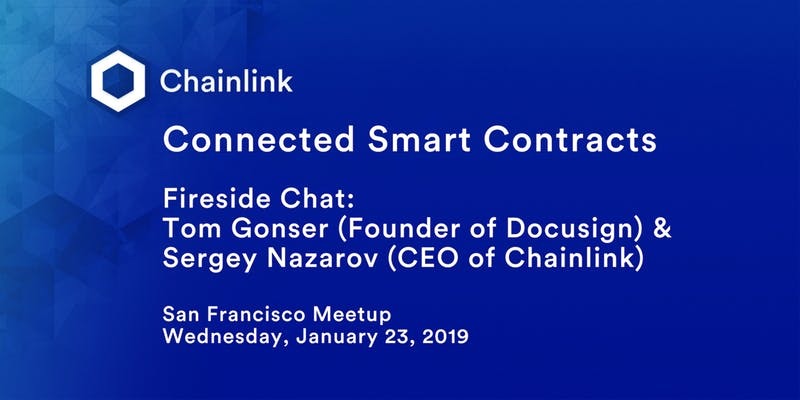 Join us for a fireside chat with Sergey Nazarov, CEO of Chainlinkalong with Tom Gonser, Founder of DocuSign . They will be discussing connected smart contracts, oracles, and the advantages of decentralized networks utilizing blockchain technology. With the growing interest in smart contracts, it is important to explore the benefits, challenges, and real-world application of smart contracts. Tom and Sergey's experience in combining emerging technology with the needs of enterprise businesses will give the audience a solid understanding of smart contracts and this evolving field.